Car wreckers Takanini offers you the best price for your unwanted vehicles. 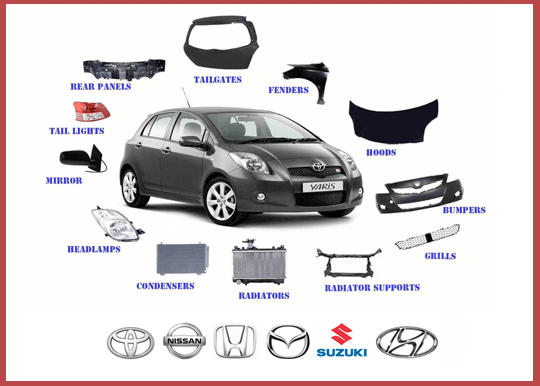 If you are living in an around Takamine and you want to get rid of your old , unwanted or broken cars, you get the best opportunity because you are not far away from car wrekers takanini. Just call 0800 392 392 or submit a quick quote. Car wreckers Takanini will collect you’re smashed up or broken car from any address or location in Takanini. Not only that, our car removal services are completely free. Please, get in touch today in order to find out how much is your car worth. We pay up to $15,000 for unwanted Japanese cars, depending on the condition. Call now on 0800 392 392 or complete the form on this page in order to find out car wreckers Takanini services. Car wreckers Takanini operates a fleet of professional and reliable car removal trucks that can visit your location to take away your unwanted vehicle. We will pay you the best price possible to get your car, plus our car removal services are free. Get in touch today in order get a free quote. Car wreckers Takanini is keen to buy all makes and model cars, with top prices guaranteed whatever the condition. This includes if the car is smashed up, won’t switch on, or has parts missing. In addition, you will be paid instantly, cash in hand. What if your unwanted vehicle is a truck, 4wd, van, ute, or light commercial vehicle? If it is from any manufacturers, vehicles wreckers Takanini will buy it. Also, for trucks, vans, and light commercial vehicles are bigger than cars, we can usually offer you a better price. To find out how much your vehicle is worth, give us a call today or complete the form on this page so that we can get back to you as soon as possible. Car wreckers have a massive responsibility to the environment. Therefore, make sure you use a company who takes that responsibility seriously. Whenever we car wreckers Takanini dismantle a car, we recycle as much as possible including all the parts, a lot of the liquids, and the metal. We then carefully dispose off the small amount that remains. Even though Takanini is one of our main focus areas, we car wreckers Takanini also buys and removes vehicles from anywhere in Auckland. Plus, with six removal trucks on the road every day, we can cover a lot of ground in a short period of time. Call car wreckers Takanini at 0800 392 392 in order to find out how much is your car worth.